This weeks article is on the harder side of trance. This German duo has concieved some major tunes during the years, and their remixes are already legendary. I´m talking about DuMonde vs Lange – Memory (Original Vocal Mix). Could this be my paradise? DuMonde is Jürgen Mutschall (aka DJ Jam X) and Dominik De Leon (aka De Leon). They have both been active in the music business since late 90’s and started collaborating in 1997 under a few different aliases. The track became an instant hit and even made it to the German Dance Chart top 10 in 1999 and was supported by most major DJ’s like Oakenfold & Judge Jules. The track was re-released in 2000 with remixes by Moogwai (which IMHO is one of the best ever) and Lange. It was later re-released again in 2006 with remixes by Ralph Novell vs Bas&Ram, Observer & DJ Spacecase and a fresh makeover by DJ Jam X & De Leon called Retro Mix. Also worth mentioning is that it was also released as Just Feel Free (Tomorrow 2000). The same year also saw the first remix under the DuMonde-name, Push – Universal Nation (DuMonde Remix). They did a few other remixes that year but this is the best IMHO. The followup-single was the 1999 single See The Light (with vocalist Evil Iris). It has that driving bassline i’ve always loved by DuMonde. The same year Anastasia vs. DuMonde ‎– Fly To The Sky was also released. 1999 also saw some remix-work for Yves De Ruyter – Feel Free, Alice Deejay – Better Off Alone, Alice Deejay – Back In My Life and Sash! – Adelante and my favourite DuMonde-remix of all time, Tin Tin Out – TWM. TWM stands for Trance With Me which essentially was a remix of Tin Tin Out’s track Dance With Me. Just Feel Free (Tomorrow 2000) saw the light of day in 2000 together with some amazing DuMonde-remixes of Binary Finary – 2000, Sweep – Running Up That Hill, Lange – Follow Me, Hurley & Todd – Sunstorm and CRW – I Feel Love. All track has that hard DuMonde-edge that I really love. 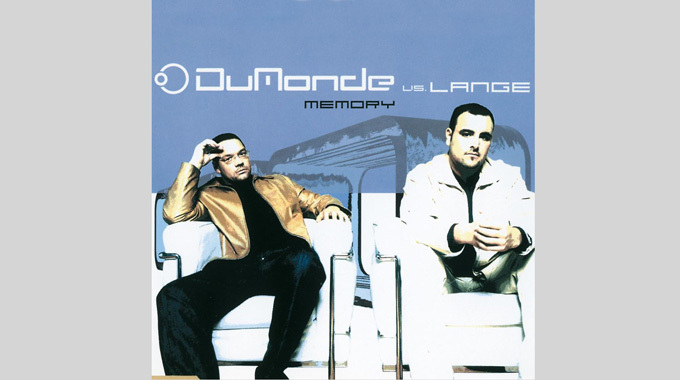 DuMonde vs Lange – Memory (with singer Alexis Strum) came out in 2001. It’s one of those tracks that will always give me goosebumps. I hadn’t heard it in quite a while but thought about it for years. The vocals does wonders for the track together with the dark and driving music. It was followed by the single Never Look Back (with singer Evil Iris), another hard-pumping track. The remixes that year includes Angelic – Can’t Keep Me Silent and Barthezz – On The Move. The 2002-track, God Music (with singer Santoshi) was another floor-stomper. The year also gave us DuMonde-remixes of Marc Aurel – Running, Hi-Gate – Saxuality and Jurgen Vries – The Theme. Human (with singer Evil Iris) came out in 2003. The same year also saw remixes of Dave 202 & Phil Green – Moments Of Silence & DJ Snowman – And Then They Started To Dance. The 2004 track, Kalt/Cold is the same, but with different spoken vocals in either german or english. Ich Will Raus / Let Me Out (with vocalist Santoshi) came out the same year. Ich Will Raus is with spoken words in german while Let Me Out has spoken words in english. Both are pumping floor-busters. The DuMonde-remixes of Rank 1 – It’s Up To You (Symsonic) is that years most memorable remix. The collaboration with Dave 202 on the track Singularity 2005 and Judge Jules on What’s In Your Head in 2005 was IMHO the beginning of the end for Dumonde. While Singularity was a pretty straight-forward floorfiller, What’s In Your Head was the opposite. A good thing though is that their remix of Nelka – Beautful Dawn kept that oldskool DuMonde-feeling. 2006 saw the release of I Feel You and the 2006 re-release of Tomorrow. In 2007, DuMonde’s first (and only) album came out, A Decade 1997-2007. It contained their best works over the 10 years they had worked together under the DuMonde-name. 10th of December 2007. DuMonde posted a Press-statement that they had decided to stop working together. Both parties decided to work on own projects. They did release a final single, Gun some days later. The track isn’t as hard and dark as the previous tracks, it feels more commercial than the classics. You can still hear that distinct DuMonde-sound but I miss the harder, pumping bassline and the dark, mellow strings. The classic DuMonde-sound that I once fell in love with will always be a big part of my classics. That hard, edgy synths, the phat, driving basses and those haunting stings will live on forever, atlease as long as I play them. After all, it’s up to us to educate the people that have missed these true gems. Atleast, I will always look back at them with chills all over my body and a big smile.